Dr. David Tuffley is a Senior Lecturer in Applied Ethics & SocioTechnical Studies, and a member of the Institute for Integrated & Intelligent Systems research group at Griffith University in Australia. An accomplished keynote speaker, his field is explaining the social impact of technology with special interest in Smart Cities and Artificial Intelligence. 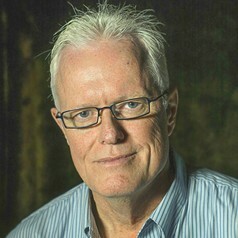 David is a high-profile Griffith academic, one of the university's most prolific contributors to mainstream media, including print, radio and television. His articles have been republished in the Washington Post, Chicago Tribune and many others, including foreign language pubs (German, Chinese and Japanese). Before academia David was a successful IT Consultant in Australia and the United Kingdom working for large public and private sector clients, a role he continues to perform when not educating the next generation of IT professionals. David was a guest panelist in the 2017 World Science Festival among other high-profile events. David is a regular visitor at Humboldt University in Berlin, the high technology capital of eastern Europe, and San Jose/San Francisco where he studies the conditions that make for high-performing innovation ecosystems. David's formal qualifications include PhD (Software Engineering), M Phil (Information Systems), Grad Cert in Higher Education (Griffith University), Bachelor of Arts (Psychology, English Literature, Anthropology) (Queensland). Vice-Chancellor's Media Excellence Award, Griffith University 2015.